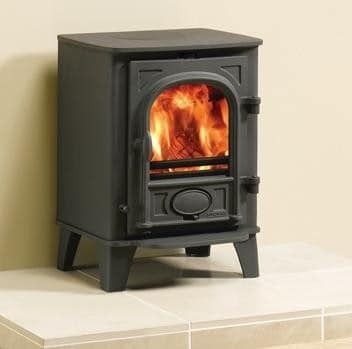 The Stovax Stockton 3 is the smallest stove in the Stockton Range of steel bodied stoves by Stovax. 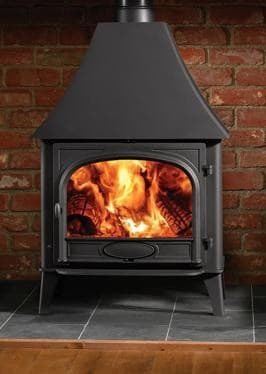 The Stockton 3 stove is designed to fit into a standard 22″ (560mm) high x 16″ (405mm) wide British fireplace opening with the chairbrick removed. 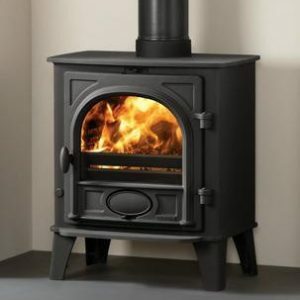 It has full multi fuel capability and its compact dimensions make this stove equally suitable for houseboats, summerhouses and garden workshops. 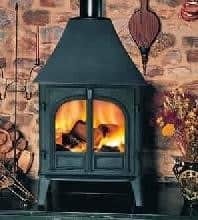 The Stovax Stockton 3 stove is approved for use in Smoke Control areas (Defra Approved) when a smoke control kit is fitted to the stove.